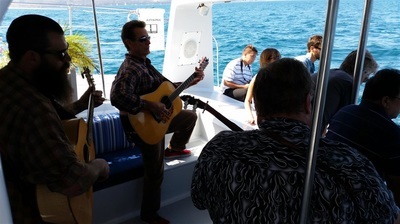 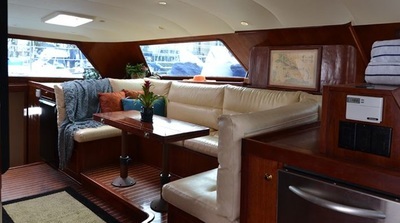 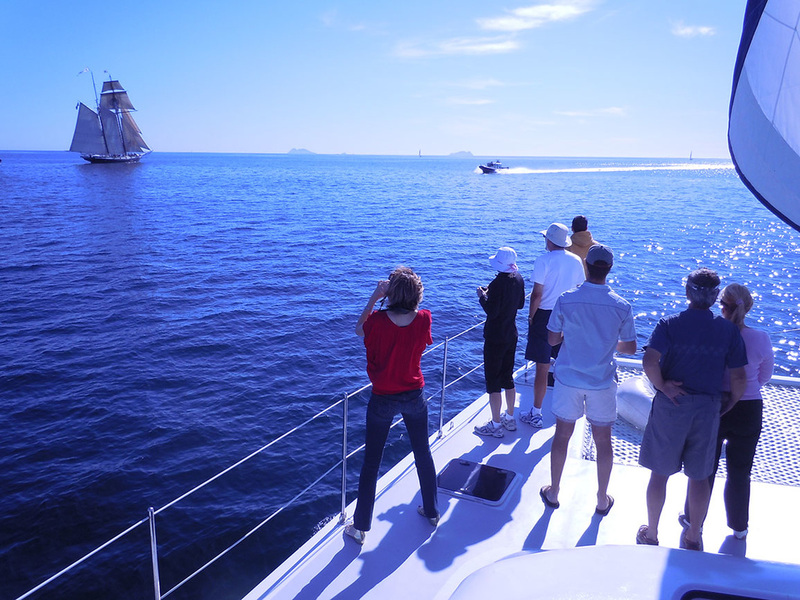 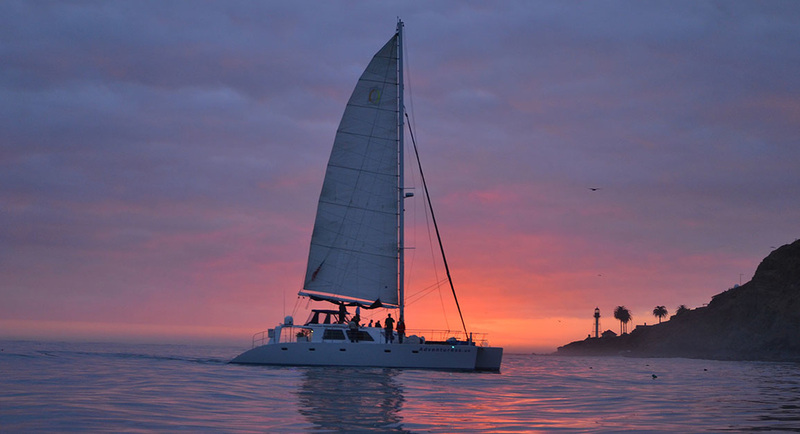 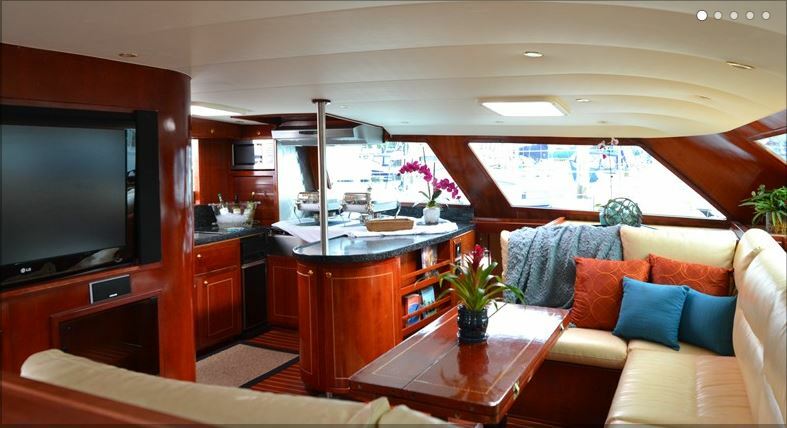 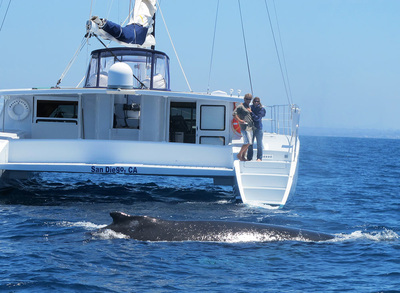 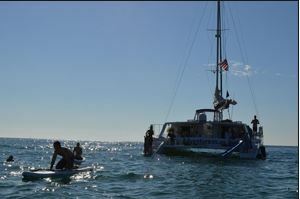 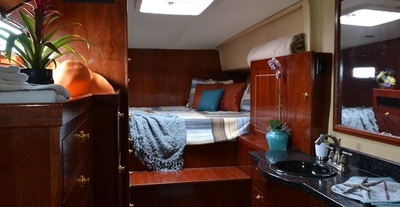 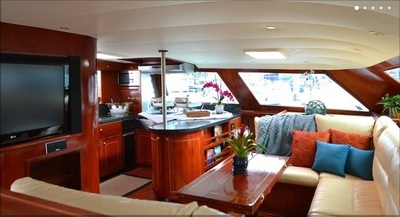 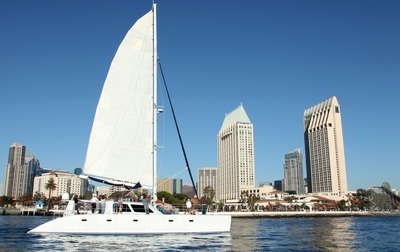 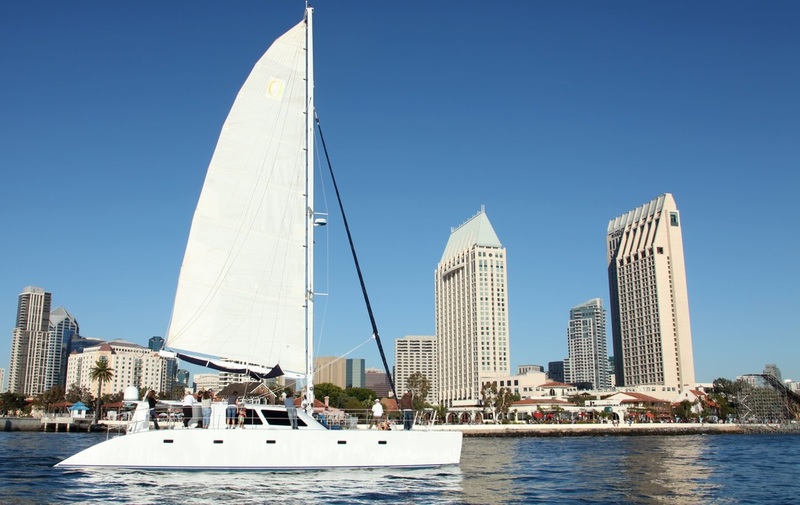 ​San Diego Harbor Burial at Sea on a luxury catamaran sailing yacht! 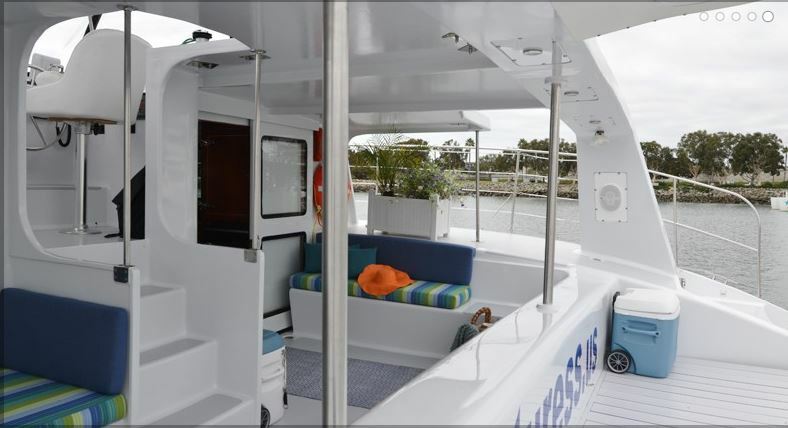 At 60 feet long and 32 feet across, this yacht is incredibly stable and comfortable offshore. 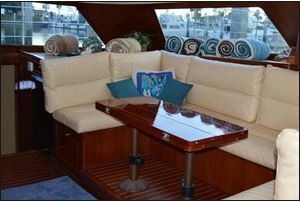 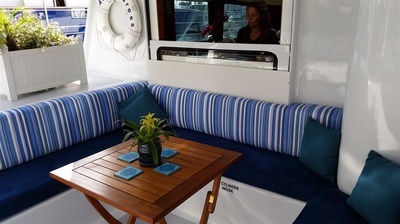 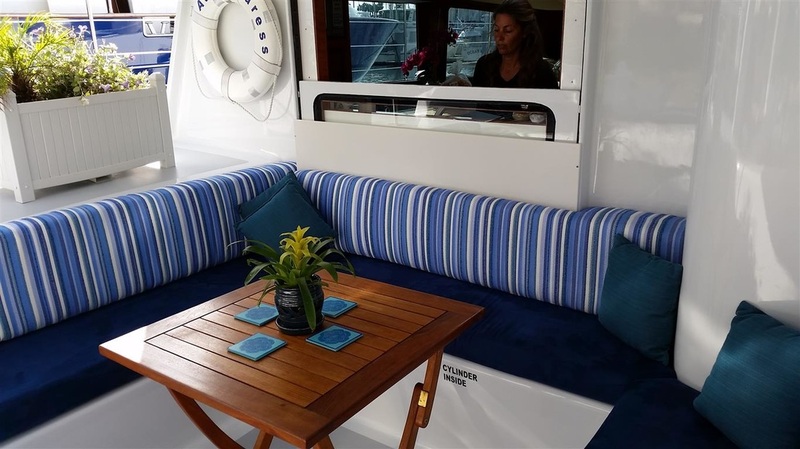 Catamarans do not heel like a traditional monohull sailboat, making for an ideal offshore yacht that you can relax on. She is also powered by twin 200HP turbo engines, which can power her along at 20 knots. 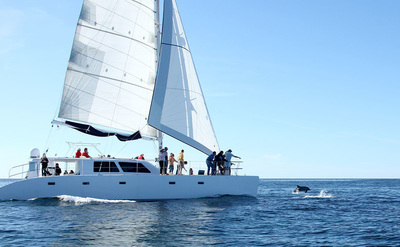 So, whether under sail or under power, she is faster than most power yachts her size.